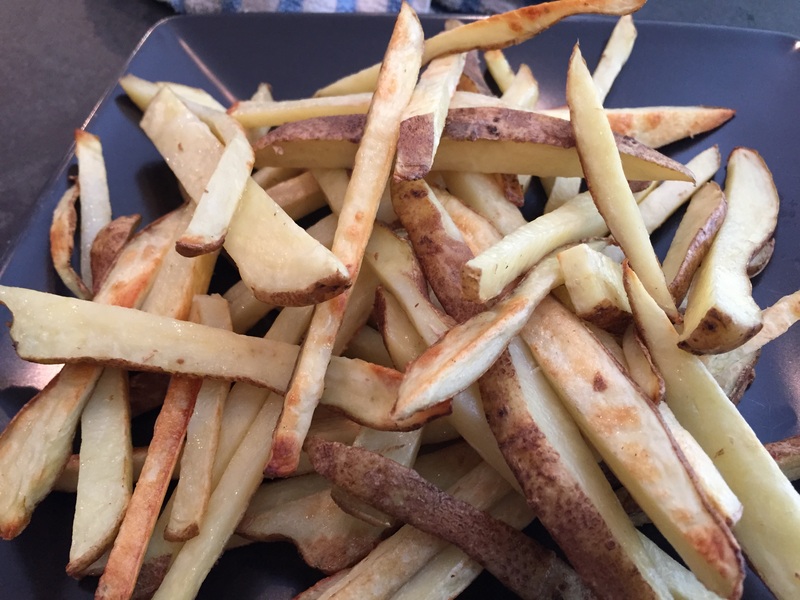 Potatoes are an ingredient that are just waiting for your creativity! 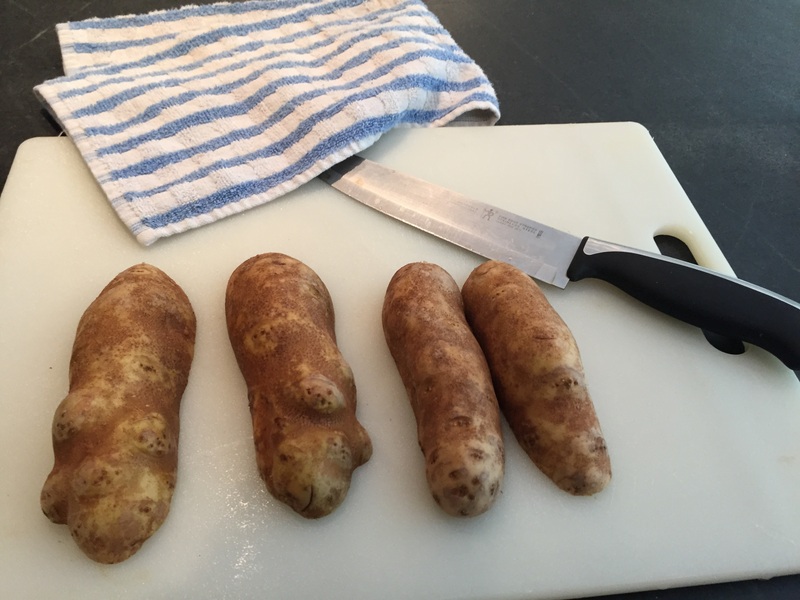 Potatoes are tubers which consist of 20% indigestible starch so they need to be eaten cooked. 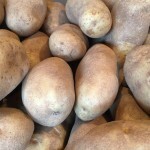 When choosing potatoes, look for smooth and firm skin, no soft spots, sprouting or green color. 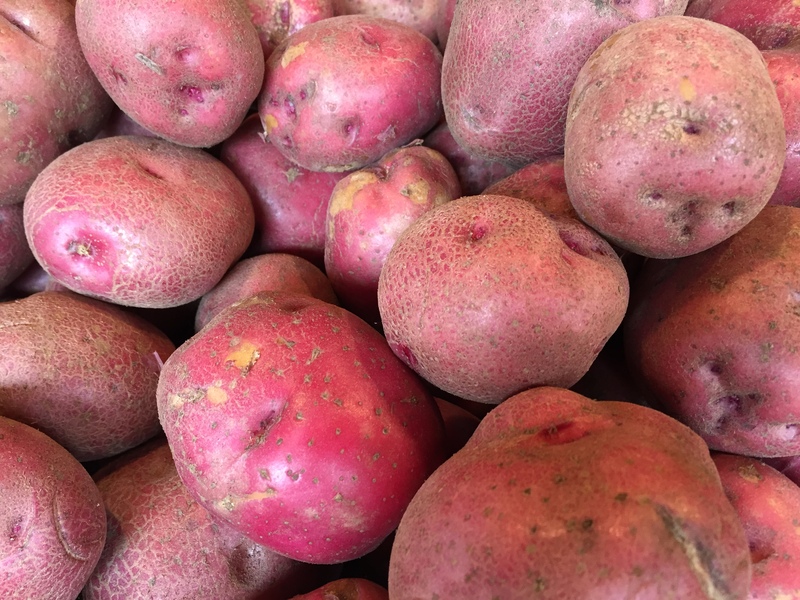 Potatoes come in white, gold, blue, red, and purple. For all things mashed, check out this piece by our friend Olivia Rose on her website at My King Cook. 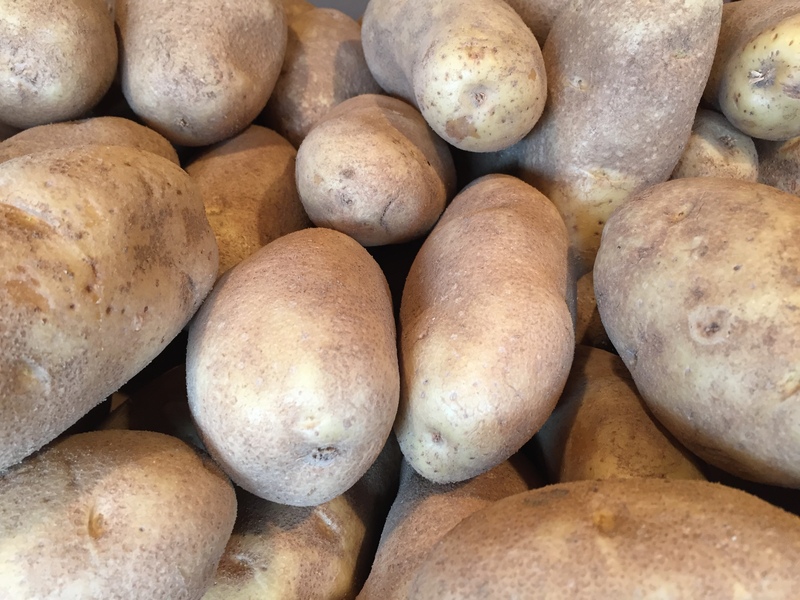 Stored in a dry, cool and dark environment, potatoes will last for several weeks (3-5) if they are kept away from apples and onions. It is helpful to store your potatoes in a paper bag. (Jess stores her in a dark open newspaper-lined bin under her counter). 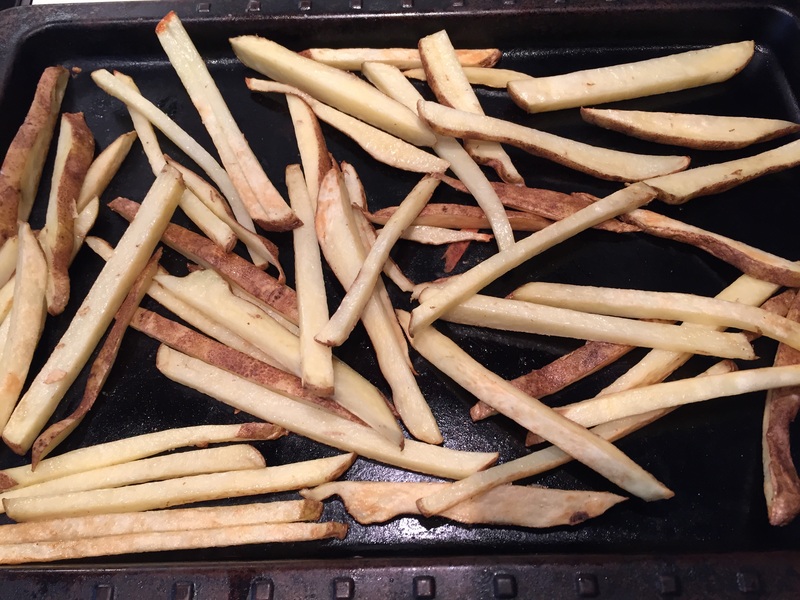 Place in the oven and cook for 25 minutes, carefully turning with a spatula about halfway through cooking time. Serve immediately. 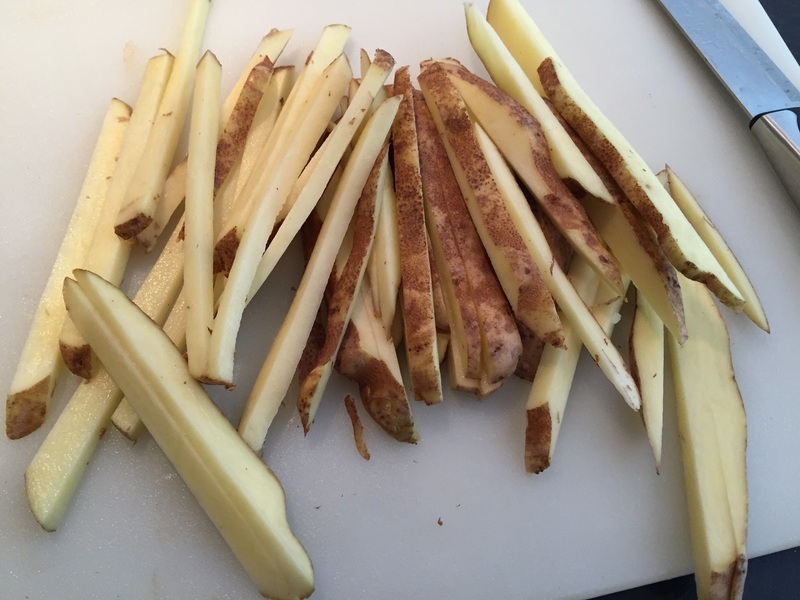 As the Springdell seasons progress, you’ll find that you can toss these fries with other herbs and spices of your choice. 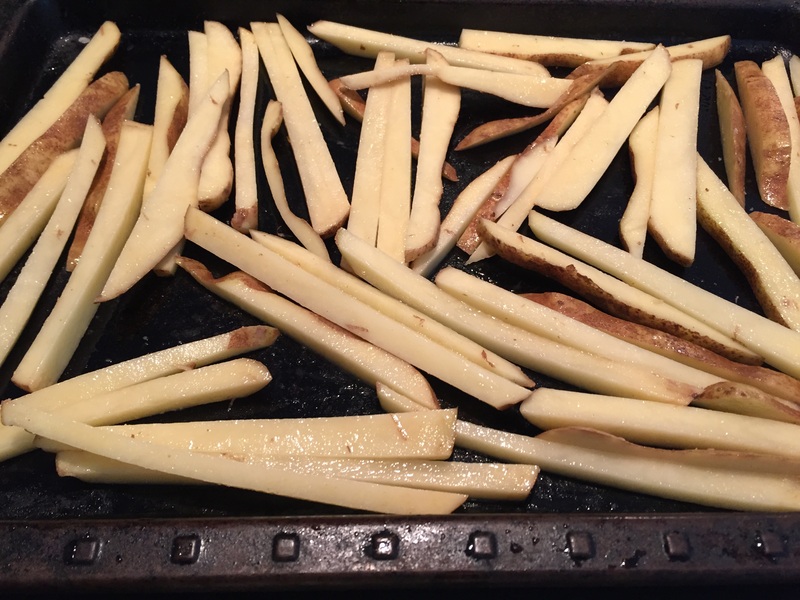 Here are a few suggestions: browned butter sage, rosemary garlic, chile cumin lime, lemon pepper, honey Sriracha… This recipe also works great with sweet potatoes, kohlrabi and rutabaga. Oh no we sprouted! Please no worries! As you go through the potato bin, you might find a few that are sprouting. This is a good thing! 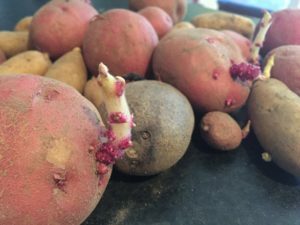 It shows that these potatoes have not been sprayed with the industrial strength growth retardants of the commercial farms. You can of course cut these little sprouts off and eat the potato as per usual. 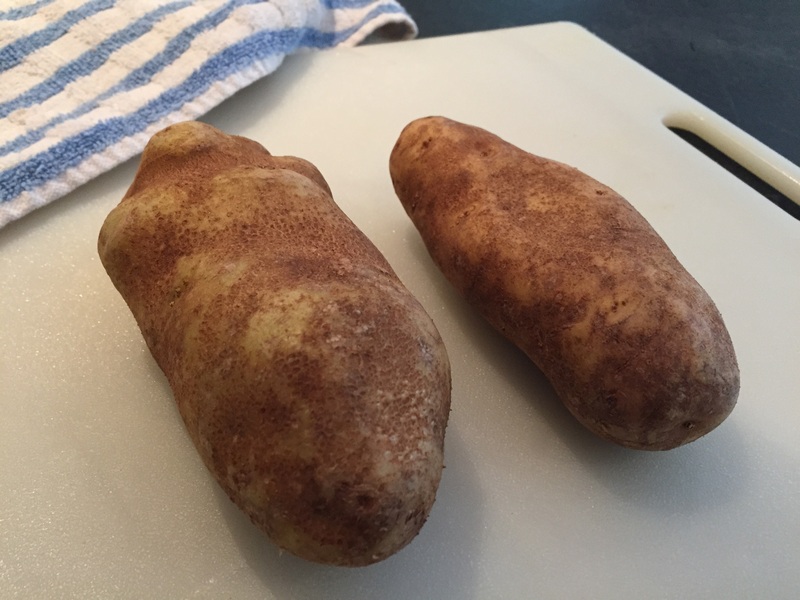 If your potatoes have started to get a little too wilty to enjoy, fear not! Keep them in a cool spot in your basement and let them continue their sprouting activities. 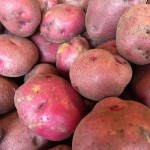 In the spring, you can plant these “seed potatoes” and grow full plants of your own! Even if you don’t have a garden, try to plant them in a shopping bag with enough dirt to cover them. As the plant grows, cover it with more dirt. If all goes well, you’ll have grown a bag full of potatoes come summer! (Be warned, however. 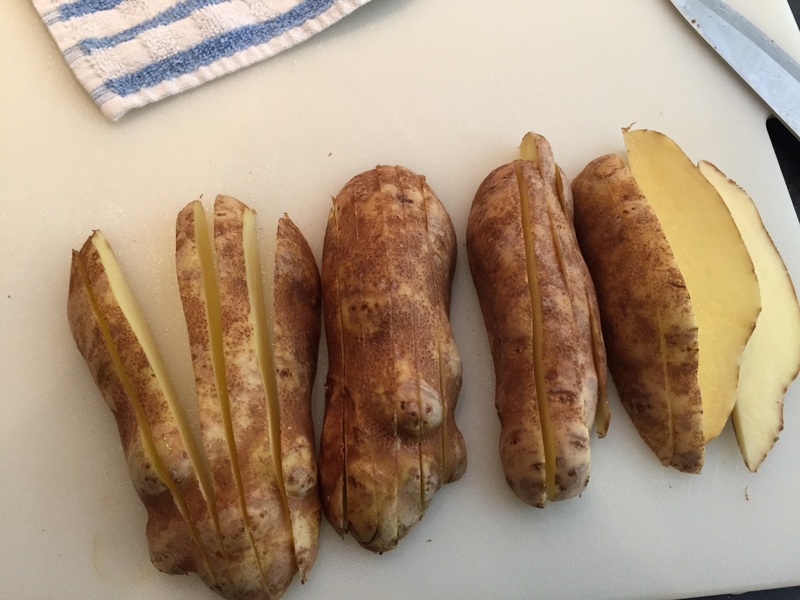 You may wind up with an abundance of potatoes yourself…) The beautiful cycle of life continues! This was the result of a creative moment, but I have no regrets about the way it turned out! Potatoes and/or sweet potatoes provide the starchy middle that keeps things together, and the asparagus provides the springy gimmick. The rest of the ingredients are pretty flexible, so make it your own and have fun! This is a winner of a good old comfort dish. A meal all with enjoy. Try changing it up with some herbs of your choice! This hearty New England tradition is all the better when made with fresh and hearty New England ingredients! Salt pork is used in my Nan’s version, but I find bacon ends to be even better (plus, they don’t leave the house smelling so icky). You won’t find clam juice on the “staples” list in Veggiescope, so be sure to pick up 2 cups worth before starting this recipe. This is a great one for those that are unsure of lamb. The recipe can be easily halved. Break into your freezers, it’s time the summer corn shines in this comforting chowder! 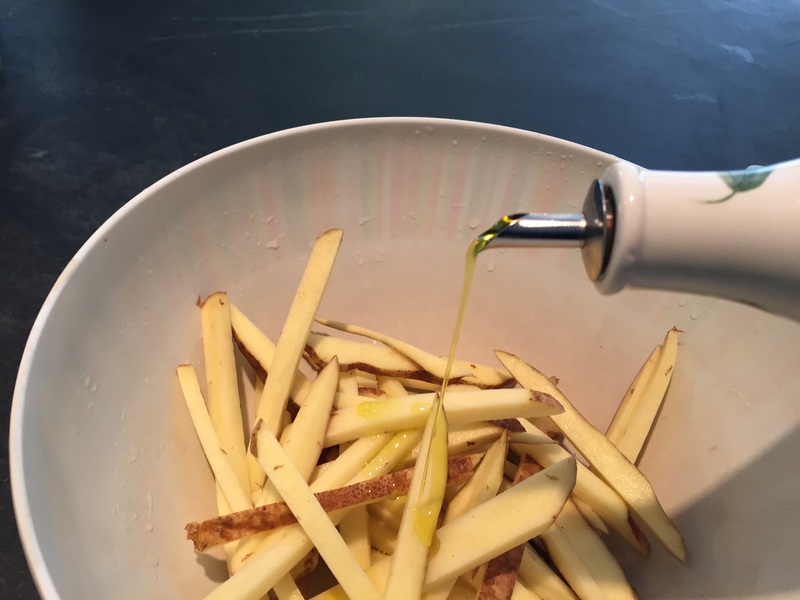 This recipe is incredibly simple and flexible, just the way we like our recipes around here. Whether working with fresh or leftover chicken or turkey, this recipe is a pretty basic and tasty place to start. 2 prepared pie crusts can be used, or if you have some of the lovely winter CSA grains and a bit of extra time, a from-scratch pie crust is an option. Fresh or frozen (or both) veggies can be used in the filling as well.